It's no secret that food consumption and our buying habits have a large impact on the environment and climate change. But, instead of listing out all the scary things that are happening, we instead, want to mention the top 3 positive changes we can make to lessen our individual impact when it comes to food consumption. Eating fruits and vegetables that are in season and locally produced not only lessens the overall carbon footprint, it also contains more nutritional value. 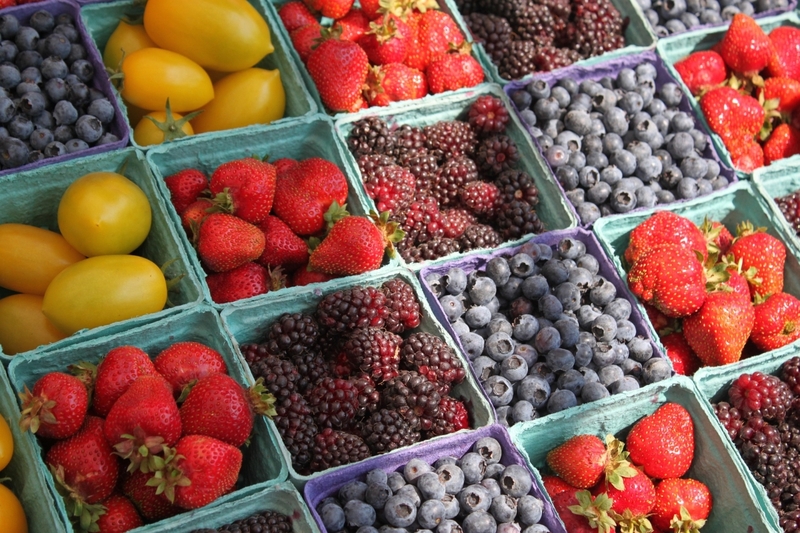 A naturally ripened fruit is a whole lot tastier than one that has been ripened on a truck! When you buy produce that's in season in your area, it's just #winwinwin all around, (we like when that happens!) since it benefiting your health, your local farming community, and the environment. It's cheaper and greener as there is less transportation, less refrigeration, less hot houses, and less irradiation of produce. Check out this handy chart for Canada and this one for the US to find out what's in season in your area. 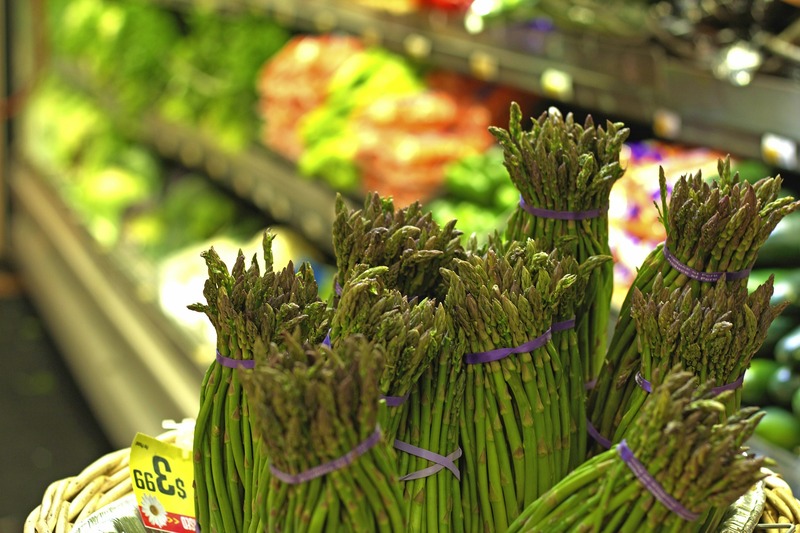 Grocery stores like Farm Boy and Whole Foods make local produce a priority. There's also your local Farmer's market that you can take advantage of in the early Spring to late Fall months. 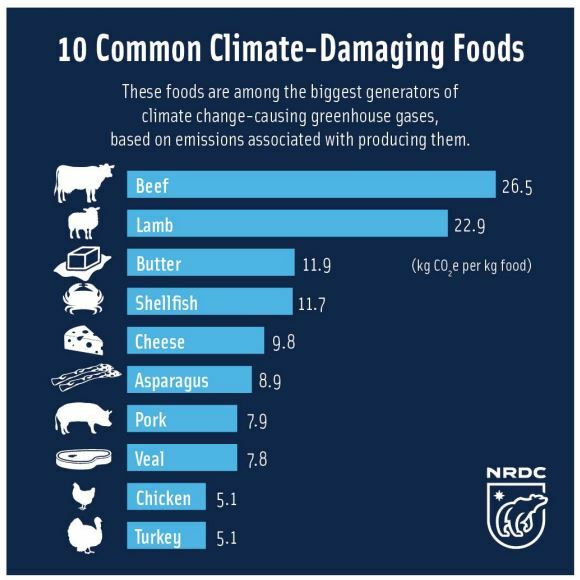 It may be a bit of a stretch for some to give up meat and dairy, however the chart below is a real eye opener on how much GHG is caused through its production. At least, we can all collectively give up asparagus - phew! On a serious note, giving up red meat even once a week, could positively benefit the environment even more than buying local produce. Read this blog post for grocery shopping tips.Keep a recipe bank for family fave recipes that you can repeat.Use leftover dinner for lunch.Buy fresh, eat fresh, and waste nothing!Label and freeze soups and marinated meats for later use. When you buy local and in season produce, cut down on red meat and dairy, and plan your meals ahead of time, you will make a difference! Let us know in the comments, how are you changing your eating habits to help the environment?